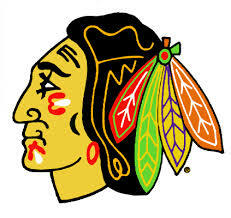 2013 Stanley Cup Champion Chicago Blackhawks!! After playing a series filled with nail-biters and overtime games, the Blackhawks brought the Cup home to Chicago in a 3-2 win over the Boston Bruins. The Bruins deserve praise too-- after a great series and taking the pride of their city to another level. Congrats to the City of Boston. You guys made it through a lot this year and did well in the finals.